Guess the Right Answer and Win a Free T-shirt! The first kid to guess the name of this week’s beach creature correctly and post a photo of their drawing of the animal with their answer on the Dani’s Dreams Facebook Page will win a free registration, including T-shirt for the Dani’s Dreams Memorial Walk/Run Aug. 2 at New Palestine High School. July 1: I am a bird in the large family named Larus, which means “ravenous sea bird” in Latin. Every Little Drop Helps Dani’s Dreams Grow! Hancock County students can take the lead and Dream It – Do It! 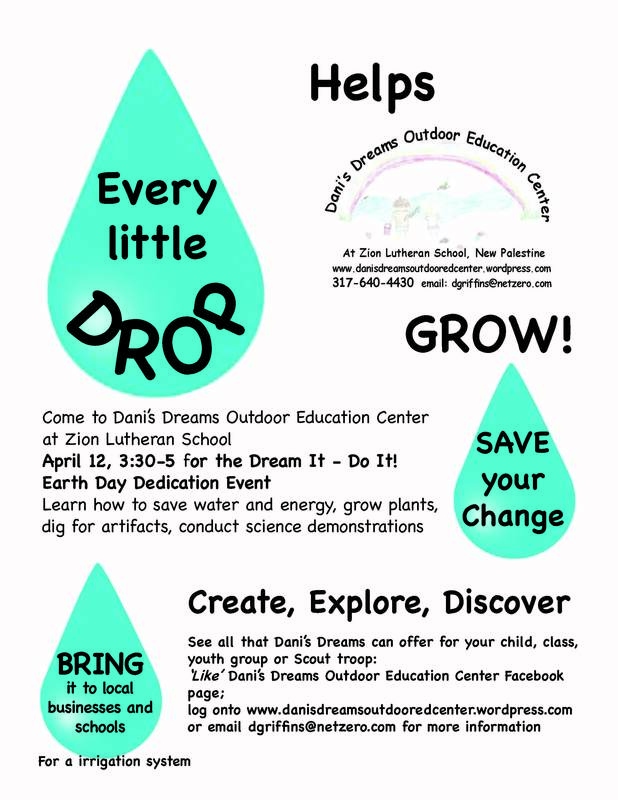 during the fifth annual Dani’s Dreams Outdoor Education Center Earth Day Dedication Event April 12, 3:30-5 p.m. at the center, located at Zion Lutheran School, 6513 W. 300 S, New Palestine. Join the student-led interactive demonstrations on recycling, composting, and saving water; be a Dani’s Dreams Nature Detective and win prizes, create crafts, sign up for space in the Community Garden and tour the Go Green Discovery Center that features interactive exhibits on environmental and conservation education. Stay for a free will donation pizza supper and a showing of “The Lorax” and don’t forget to vote on drawings for the T-Shirt design contest for the Dani’s Dreams Walk/Run Aug. 3. Bring your nickels, dimes, pennies and quarters for our “Every little drop in the bucket helps Dani’s Dreams grow” to raise funds for a garden watering system. Learn how you can be a member of Dani’s Dreams Club and make a difference in the world around you. Dani’s Dreams Outdoor Education Center is open to all classes, Scout Troops and community groups for state standard-environmental education lessons, projects and activities – AT NO CHARGE. Log onto to http://www.danisdreamsoutdooredcenter.wordpress.com or email dgriffins@netzero.com for more information. 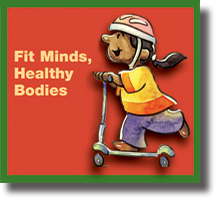 Fit Minds, Healthy Bodies will be the order of the day when the Children’s Museum comes to the Southern Hancock area. 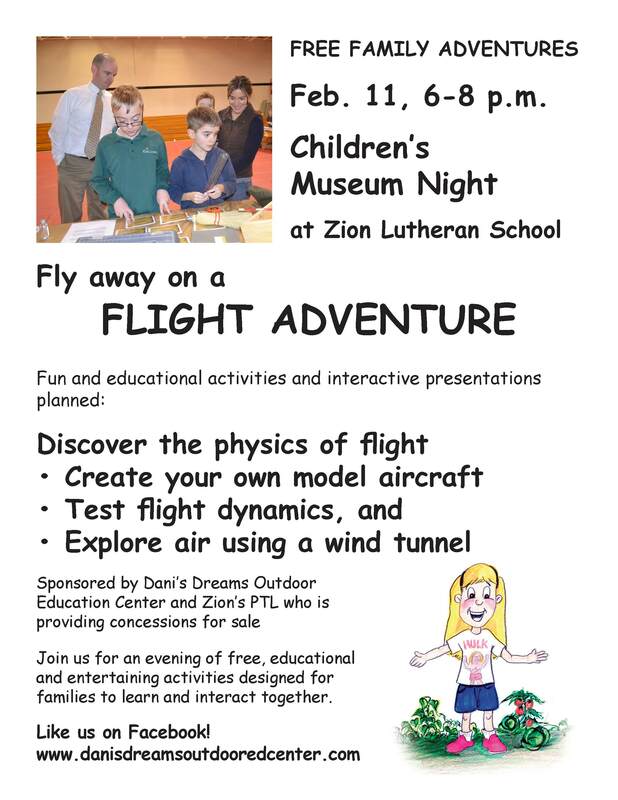 Dani’s Dreams Outdoor Education Center will host a School Outreach for all Hancock County K-5th grade students Oct. 19, 6-8 p.m. at Zion Lutheran School, 6513 W. 300 S., New Palestine. The focus of the event is for families to learn and interact together. Museum educators will facilitate presentations and provide activity supplies. Did you know that two tablespoons of peanut butter are about the size of a ping pong ball and that one pancake should be the size of a CD? Families will create their idea of serving sizes using play dough, and then compare them to actual healthy serving sizes using everyday objects. Learn about the sugar content that is contained in the drinks that your family might consume on a regular basis. Are you making healthy drink choices? Play a matching game to test your knowledge, and then practice measuring sugar amounts and learning more about the drinks that you consume. Keep your heart healthy and strong! Families will enjoy learning about the heart using scientific models. Learn ways to take your pulse and explore active and resting heart rates and then graph them on a chart. Good nutrition and lots of active play builds strong bodies. However, germs can make even a healthy body sick. Work together as a family to learn how easily germs are picked up and the importance of proper hand washing by using germ models and a black light box. Healthy habits are important 24 hours a day — especially while you sleep. Take your time at this station to explore sleep habits and learn about your ‘stop’ and ‘go’ times for adults and children. Quiz one another about who is getting enough sleep in your family and make clocks to take home as reminders. Take the pyramid challenge with your family. Take a look at the food pyramid posters and talk about foods that you like to eat that are in each category. Create magnetic art as a reminder to eat healthy every day! Explore health related books and write down some delicious healthy recipes to try at home. Did you know that kids need 60 minutes of physical activity every day? Make it fun for the whole family by participating in our active play stations: jump ropes, hopscotch and hula hoops! For more information on the Oct. 19 event, log onto: http://www.danisdreamsoutdooredcenter.wordpress.com, call Zion Lutheran School, 861-4210 or email: dgriffins@netzero.com. Dani’s Dreams Crop Report – Girl Scouts Get Green Thumbs! 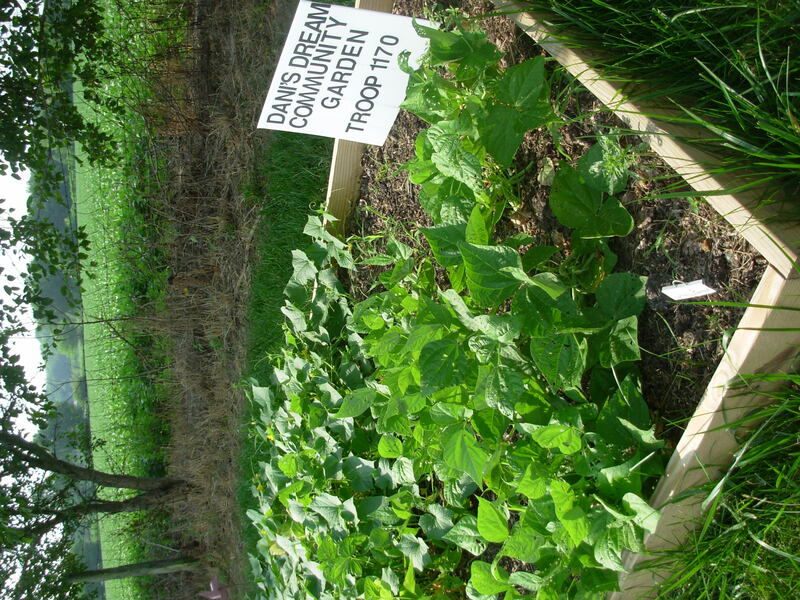 Girl Scout Troop 1170 started a garden along with three other gardens at Dani’s Dreams. We planted green beans and cucumbers. We did it for the outdoor community garden project. When the vegetables are ripe and delicious they will be used or donated for a community event. If you want to do a garden at Dani’s Dreams next year be prepared so you can plant a spot of delicious plants yourself.